A recent resolution passed by the religious leaders of India's Parsis has divided the community. 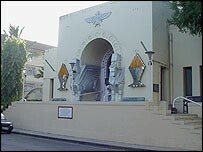 They have decreed that any Parsi man marrying outside the community will cease to be recognised as one of its members. Originally from Iran, the Parsis practice Zorastrianism. There are only 130,000 Parsis left around the world, of whom about 55,000 reside in India's financial capital, Bombay, or Mumbai. Parsi women have for years been threatened with excommunication if they marry outside the community but now this rule has been extended to men. Their families, too, will not be initiated into the community if they marry out of it. The only good thing about this resolution is that the high priests can no longer be accused of being sexist! 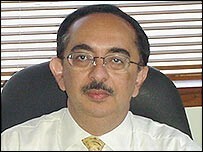 Bergis Desai is a Parsi lawyer in Bombay. He wife is a Sindhi and Mr Desai will therefore no longer be recognised as a Parsi. His children will not be initiated into the community - nor will they be allowed into the fire temple, the Parsis' place of worship. He says the resolution is without any legal, moral or ecclesiastical validity. "I also happen to be a fully ordained priest myself and have performed the Navjot - our religious ceremony that marks the initiation of a child into the community - of a lot of children of inter-married Zoroastrians," he says. "I will continue to do so even after the resolution and nothing can be done about it. The only good thing about this resolution is that the high priests can no longer be accused of being sexist!" The Parsi community is one of India's more progressive minorities. Some of the country's top business families - like the Tatas, Godrejs and the Wadias - are Parsis, as is renowned orchestra conductor Zubin Mehta. Rock band Queen's famous lead singer, the late Freddie Mercury, was also a Parsi. However, the Parsis are a very closed society and conservative in their religious beliefs. This paradox has often led to conflicts within the tiny community. Conservative Parsis says inter-marriages should have been stopped a long time ago to preserve their numbers. On the other hand, liberal Parsis say if the clergy continues to turn away those who are already a part of the community, as well as refusing to accept new people into the fold, there won't be a community to speak of in the long run, let alone one to preserve. 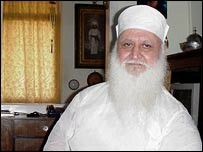 Feroz Kotwal is the Parsi high priest of Bombay and one of the seven leaders that passed the new resolution. He says inter-marriage is not the remedy for increasing community numbers. "As a Parsi high priest, my first duty is to preserve the community and the religion. "We look to Parsis who uphold Zoroastrian virtues, values and principles. If we throw open our doors through inter-marriage to all communities, all our traditions, identity, characteristics, everything will go to the winds," he says. Surprisingly, the young generation is as divided on the issue. What's the point in telling people to stop indulging in inter-caste marriages when, in some cases, that's the only option they have? Urvaksh Mobedji, 21, says Parsis have a responsibility towards preserving the community and should therefore marry within it. Freisha works as a producer in a local radio station and is dating a boy born of a Parsi father and non-Parsi mother. She says this resolution is very unfair because she is being asked to choose between her religion and her boyfriend. "I think it's sad that my religion tells me if I want to be truthful to my faith then I must marry a Parsi boy. 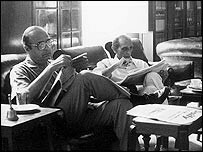 "As it is we are a dying race and the community, instead of accepting both of us into the fold as Parsis, is turning us away - that's another two Parsis less in number." 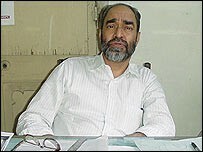 Jehangir Patel is the editor of Parsiana magazine, a monthly publication on the international Zoroastrian community. He says this resolution is an unnecessary, retrograde step that has opened old wounds. Many Parsis will continue to marry outside the community not out of a sense of rebellion but due to a shortage of eligible partners, he says. "We have a small community and it's getting smaller in number. In Bombay itself every third Parsi is marrying outside the community. "The number is bound to be higher in other parts of India and the world where there aren't enough Parsis. So what's the point in telling people to stop indulging in inter-caste marriages when, in some cases, that's the only option they have?" Most Parsis think this resolution will not stop people wanting to marry outside the community from doing so. However, it has raised important questions regarding the identity of a Parsi and the continuity of the dwindling Zoroastrian race, for which the community has no answers.